Online dating changed the game of love, and it brought a lot of hope to people who needed it the most. 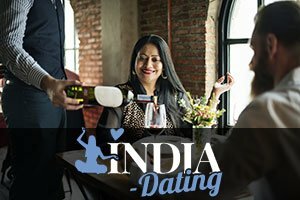 One of the biggest regions that was positively affected by online dating services is definitely India, one of the most diverse and colorful countries in the world. India has been having some trouble in the love department, as many Indian singles claimed that they just couldn’t find anyone suitable for a life partnership, for whatever reason. Online dating services, sites in particular, made it possible for many single Indians to connect with their perfect matches all across the country. According to latest polls, both Indian men and women enjoy all aspects of online dating a lot, especially conversing with each other. Women on Indian dating sites get a lot of attention and messages, but only the truest connections with men get a chance to evolve further. If you’re a single Indian man who found a girl of his dreams on an online dating site, and you’re not sure how to capture and keep her attention, these helpful tricks might do the… well, trick. Try them out and get that cute girl even today! Just like men like confident women, women like confident men as well. When starting a conversation with your perfect match on an Indian dating site, it’s advised to avoid typical conversation starters. Everyone likes to feel special and no one wants to be contacted with something that could be easily implemented in a conversation with someone else. To get the girl of your dreams, your first message needs to be strong, confident, funny, and original. Sure, you should say “Hello” because it’s the polite way of greeting someone but don’t end the message then and there. A couple of witty lines would suffice and get the ball rolling. Once the conversation starts, explain why you’ve contacted her, what makes her special and interesting, and why you think you would be a great match. If you don’t want to be that open and straightforward straight away, leave it for latter (perhaps when asking her out). Do some research and check out her dating profile thoroughly to see what she’s into and to see what the two of you have in common. Perhaps you both like the same shows, have the same taste in music, or are committed to the same social causes. Also, things you don’t have in common are a great way to get someone to be interested in you because it shows that you don’t limit yourself to like-minded people and that you like to explore different outlooks. Sparking a friendly debate is engaging, and it’s a great way to keep someone interested in a conversation with you. If a woman has a great time while chatting with you, she won’t forget about you or get distracted by someone else. Keep the conversation going and show that you care about her life. The easiest way to achieve this is by asking questions, of course. Be curious, and show her that you’re interested in her thoughts and well-being. Chatting throughout the whole day is a great bonding method, and you both get to see what your average days look like. It makes your connection a bit more special. After you’ve been chatting with her for a couple of days, ask her out and check out your connection in person. If she agrees, you can definitely be sure that she’s into you, too.